Philadelphia is getting two additional locations of the convenience store that's developed a very close following throughout the region. Both are slated to open in early 2018, according to a spokesperson for the company. 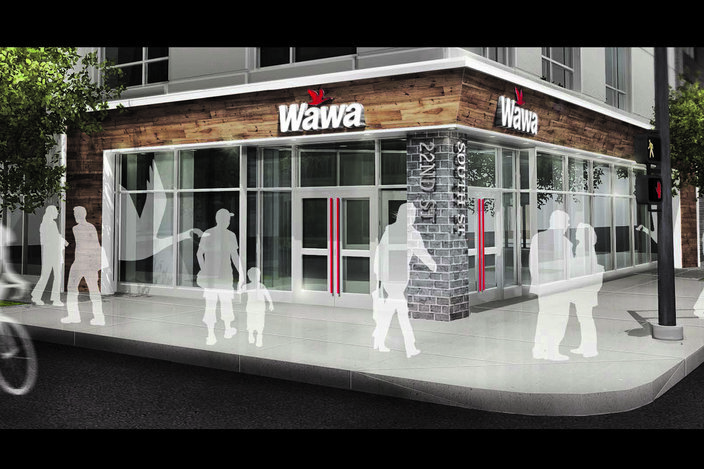 The two new stores will be at 13th and Chestnut streets and at 22nd and South streets, the company announced in conjunction with Wawa Day – the official day that celebrates its first store opening in 1964 and the founding of the Wawa Foundation three years ago. Wawa also celebrates the day by handing out free cups of any-size coffee across its stores. Renderings of the two new stores were unveiled Thursday morning at its store at 19th and Market streets. The celebration included Mayor Jim Kenney and Wawa CEO Chris Gheysens. The company hosted Wawa Day at six in-store locations, one in every state in which it operates. Wawa also announced that it would continue its Welcome America sponsorship, a series of free events in Philadelphia to celebrate Independence Day, until 2019. This year's Wawa America celebration will run from June 29 to July 4. The locations of the soon-to-be-opened stores were speculated on last year. Naked Philly reported in July that a Wawa could replace Omega Pizza at 22nd and South streets, while the Philadelphia Business Journal said that the convenience store would take over the first floor of the I. Goldberg store at 13th and Chestnut streets. 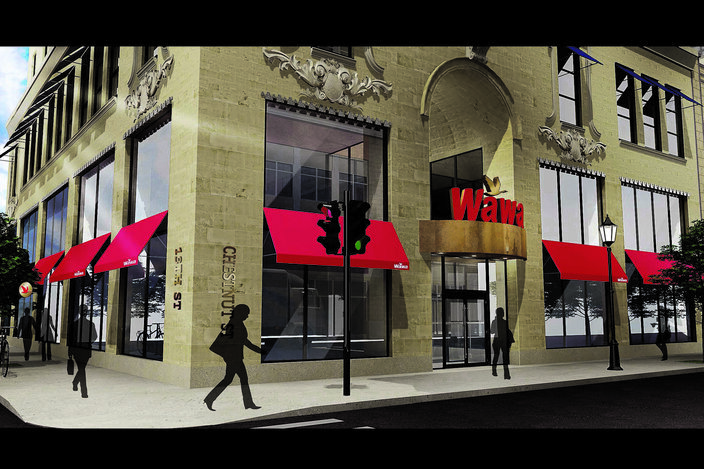 Wawa said in a press release earlier this week that it would announce details of its Center City expansion on Wawa Day. The company most recently opened its location at 19th and Market streets in December, just a little over a year after it opened its store at Broad and Walnut streets in September 2015.